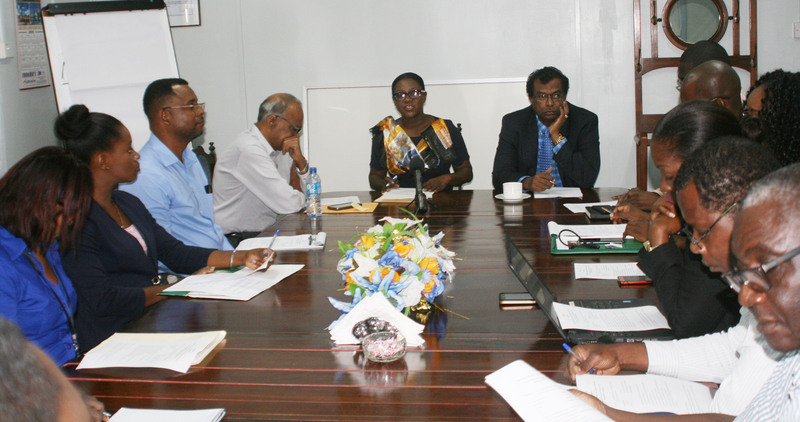 The Guyana Sugar Corporation (GuySuCo) has established a Coordinating Committee for its ‘Sustainable and Resilient Communities Programme’ and ‘Alternative Livelihoods Initiative’ in the wake of around 5,000 of its employees losing their jobs over the last two years. Four of its estates have been shuttered in a massive restructuring. In a statement issued on Friday, GuySuCo said that the target groups for the programme are ex-employees, their families and residents of communities in the vicinities of Wales, Rose Hall, Enmore and Skeldon estates, which have been closed. The Coordinating Committee comprises senior technical experts from relevant government agencies and these include the ministries of Agriculture and Public Health (Mental Health and Men’s Health units); ministries of Social Protection, Communities and Education; the Ministry of Business (Small Business Bureau); the Ministry of Finance; the Ministry of Public Security (Citizens’ Security Streng-thening Programme); and the Ministry of the Presi-dency (Department of Social Cohesion, Culture, Youth and Sports and National Trust). The committee met on Friday. 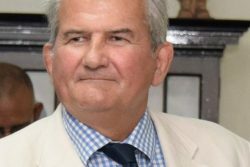 The APNU+AFC government and Ramjattan’s party, the AFC, have been severely criticised by the sugar workers’ union, the Guyana Agricultural and General Workers Union and workers over the loss of thousands of jobs in the industry and the fact that few alternatives have been presented despite numerous pledges. The GuySuCo statement said that the Economic Resilience Sub-committee will be chaired by Dr. Lowell Porter, Chief Executive Officer of the Small Business Bureau; the Social Resilience Sub-committee will be chaired by Dr. Allister Collins, Executive Officer, President’s Youth Award Republic of Guyana and Co-chaired by Wentworth Tanner, a Director at the Ministry of Social Protection. The chairperson for the Environmental Resilience Sub-committee is still to be named. The statement said that the terms of reference for the Coordinating Commit-tee and Sub-committees are to lead, coordinate and monitor the transitioning of the targeted sugar-dependent communities towards becoming sustainable; provide oversight for the Sustainable Communities Fund, which is to enable start-ups of businesses, training, technical support and aligning new business ventures to national and regional development focus areas, such as the Green Economy (the Green State Development Strategy), the Ministry of Business’ 2016 to 2020 Strategic Plan, the Guy-ana Food Security Strategy, the CARICOM Regional Food and Nutritional Security Policy and other economic activities. The committee will also oversee the establishment of partnerships with international, regional and national agencies to support the transitioning of these sugar-dependent communities and they are expected to meet at least once per month. The committee will also continue the initiatives which were started by GuySuCo and other agencies. Current projects include: the European Union-funded study to transition ex-employees into farmers; the Ministry of Natural Resources-funded project in partnership with the Board of Industrial Training and the GuySuCo Training Centre/ Port Mourant in Motor Vehicle Services and Minor Repairs, Welding and Fabrication, Refrigeration and Electrical Installation; and the Small Business Bureau funded training at the Guyana Industrial Training Centre in plumbing, masonry and carpentry, among others. Projects to be funded, the statement said, include training in forestry management areas and management of community forestry concessions, and training in carpentry, masonry, garment construction and food preparation at the Upper Corentyne Technical Institute.